Finding the optimal solution to your furniture warehouse distribution needs increases your profitability, ensures reliability and enhances your corporate reputation. At Shelba Johnson Trucking, we have more than 35 years of experience in furniture warehouse distribution and understand the importance of your warehousing and delivery needs. Our furniture warehouse distribution and logistics specialists will work with you to take a comprehensive look at the size and scope of your transportation and warehousing needs and develop a solution that will shorten transit times while optimizing your product distribution. 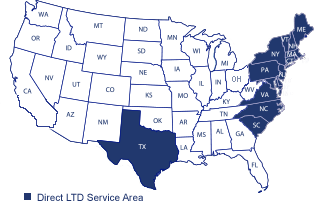 Our four Warehousing and distribution centers are ideally located to meet all your distribution needs for the eastern United States and California, and our trucking division offers direct delivery to 22 states. With the best pickup fleet in the industry and a commitment to meet and exceed every customer's expectation, we operate in an open and fair manner, obeying all laws and regulations while always focusing on safety and customer service. Let us show you why we're the best in the furniture warehouse distribution business. Request a free quote today!